Commuting often comes with any job that you get. Unless you work from home, and your commute consists of walking downstairs (like mine does), you likely spend between five minutes and an hour or more getting to your workplace. The most obvious consideration when it comes to the cost of your commute is the cost of the transportation itself. If you drive your own car, you probably have to pay for gas. If you take public transit, you might need to pay for a pass. When you drive your own car, there are additional costs associated with transportation; it’s not just about what you pay for gas. You also have to think about insurance costs (many auto insurers base your premium on how many miles you travel each year). Don’t forget about wear and tear on the car, too. The more you drive, the sooner your car wears down. Factor in the costs associated with keeping your car in driving condition. Some commuters have the chance to ride their bikes or walk. In these cases, the transportation costs might be much less. There still might be an element of maintenance (for the bike, or the purchase of appropriate walking shoes), but generally it’s much cheaper if you are close enough to your work to walk or bike. Don’t forget about some of the potential problems that can come as part of a commute. The more you drive, the greater the chance that you will be involved in an auto accident or receive a traffic ticket. My husband received a ticket a few months ago. We managed to avoid having it show up on the insurance, but we still had a hefty fine to pay. If we hadn’t managed to keep it off the insurance, though, the cost would have continued beyond the initial fine. When you are in an accident, or when you receive a ticket, your insurance premium goes up. That can cost you every month (or every six months) for three years or more. Another issue is that of getting in an accident and becoming hurt. While you might not have to worry about medical bills as a Canadian the same way I do as an American, there are still issues to consider. If you have to miss work due to injury, you might miss out on that paycheck. The longer your commute, the greater the likelihood that you will end up getting in a car accident. Another consideration is how much your commute is costing you in time. A commute that is an hour each way, rather than 15 minutes each way, means that you spend 90 extra minutes on the road, instead of with your family. You might also miss out on time for self-improvement with your commute. My husband, who commutes an hour each way (but only twice a week), listens to audio books during his drive. If you take public transportation, and someone else drives, you have the chance to work on extra products, or get in a little productivity. But, no matter how productive you are, there is still no getting back the time you could be spending with your loved ones. How Can You Reduce Your Commute? Move closer to work: Consider moving so that you live closer to work so that the commute isn’t so onerous. Consider telecommuting: Many jobs can be done remotely. Find out if you can telecommute two or three days a week. That way, you cut out some of the costs associated with commuting each day. Find a job closer to home: Another option is to look for a job closer to home. If you can’t move your home, see if you can find a job that is closer to where you live. What do you think of your commute? Do you wish it could be shortened? I haven’t paid for commuting in 12 years, luckily I always found the job, then a house nearby or just worked close from home so at most it was a 10 minute bicycle ride. I wouldn’t want to spend 2 hours in traffic every day, I’d rather earn less and have more time. Time is so much more valuable than money, since money can be replaced, and time can’t. I hate my commute. Usually it’s not too bad, but now that school is back in session it takes me about 3 times longer to get to work. That’s rough. We live in a college town, too, and once the school year gets started, it takes longer to get everywhere. Actually, the commute to my office is as long as it takes me to walk out of my bedroom and into my home office since I work primarily from home. I am also a guitar teacher so when I do need to travel to a student’s home, I make sure they live in my general area and I either walk or take my bike. During the winter however I do buy a bus pass which costs $77.00! But it’s worth it when I need to meet friends for brunch or need to go downtown for some reason. I liked your suggestions and hope folks eventually follow your recommendations. Even a bus pass isn’t bad, when you think about how much gas would cost you instead. That’s great that you can ride your bike most of the year. It takes between 10-15 minutes for me to get to work via car. I would love to ride my bike during the warmer months to save on commuting costs and get in a good workout everyday, but the bike lanes are not safe enough yet. Hopefully that will change soon! That’s too bad that it’s not safe enough yet for you 🙁 It’s amazing how much we sometimes have to wait on others to get to where we want to do. It’s great if you can get good exercise while on your way to work! I have to make extra time for exercise. So many issues with a long commute…including wear and tear on your car AND you body. That’s a good point. Just sitting in the car during a long commute can be hazardous to your health, contributing to a sedentary lifestyle, as well as the stress and anxiety that can come when you have to deal with traffic. I can make my commute in my boxers and wife-beater so the only thing it is costing me is my dignity! But in all seriousness, if I had to start commuting again the costs mentally and financially would be significant. Lol. Depending on where you live it really can add up. Luckily I only live 11 miles from where I work and haven’t had a car payment in years so my commute costs are low. I couldn’t imagine having a long commute! You’re so fortunate, Paul. Happy weekend! That is awesome. We aren’t far either and often carpool which is great. 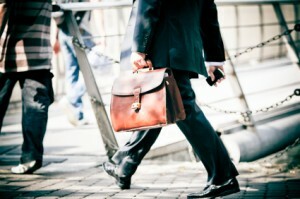 Better to get a job near your place or get a house near the office. I hate commuting to and from work, not only of the expense, but I would rather use my time doing something productive than spent minutes or hours commuting. I agree. Time is precious and we only get so much in a day. That is why riding the bus is great. You can get a lot of other things done while you sit. Unfortunately I have a long commute…about 40 miles each way. We were planning on moving a little bit closer but my wife got a job near where we live now and she can take the subway. If we move, we’d need another car so that wouldn’t work. There are definitely pros and cons to location. If you only need one car right now I think that is a good thing. I’m just glad that I don’t have to commute everybody just to get to work! I regularly think about my commuting costs. It is 13 miles, mostly freeway, between my house and work. I have ridden motorcycles on my commute for many years. One of my motorcycles gets better than 65 mpg. And motorcyclists can use the car pool lanes, which cuts down a lot on time. Downside is the added danger and exposure to weather. When I am in my car, and traffic backs up, I just lean back and listen to the radio. No sense in getting worked up over something I can’t control. Something I can control is to keep our vehicles in good operating condition. Commute miles are harder on a vehicle than long trips, so I use synthetic motor oil that gets changed every 5k miles. I also make sure that tire pressures are within the tire manufacturer’s range, but on the hard side for better fuel mileage. Great point. Maintenance can really help you save in the long run. I am glad you have worked out such a great system. I feel that time is so valuable. How could you spend a few hours each day in traffic? I met a dude recently who drives 125km to work. Why? I don’t get it. That is insane. Yes time is precious and needs to be considered when looking at a job and it’s commute.